For some reason, which I cannot begin to fathom, the RICH label seems to have restarted reusing the same numerical sequence! There is a notation on the label of these later releases to the effect that the recordings / label design were copyrighted in 1944. 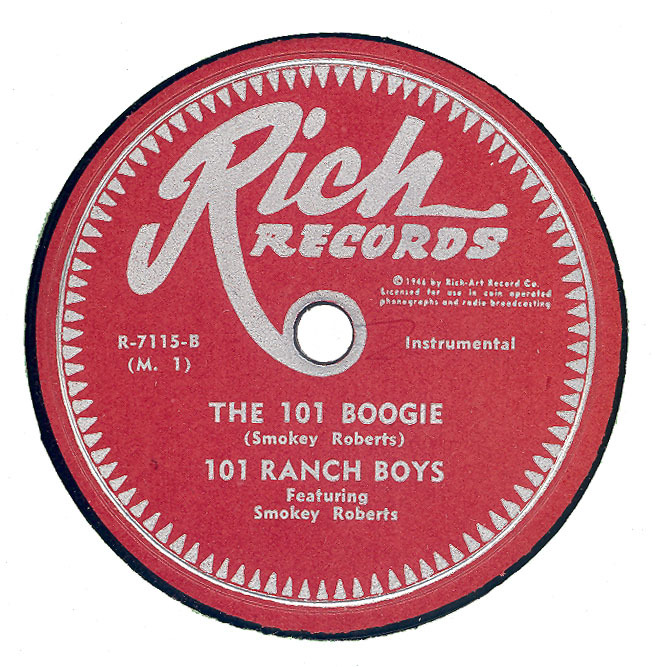 The majority of known releases are by the 101 Ranch Boys. The Ranch Boy’s RICH material is being made available on a BACM CD next month, so for the time being I will not upload any audio files of their RICH material. Nice records, and very hard to find too. Tell me how can i get the "101 Ranch boys" records? I'm a country music collector too, and i have thousands of old 78's records. Leonard is still playing steel and playing a lot of fime Hawaiian music. I see him at a couple of Hawaiian steel shows every year.